This modular development provides 35 one bed and 4 two bed apartments. The design addresses the 4 to 5 storey context and works with the Sail Street development to enclose a public garden to improve the visual amenity of neighbouring properties. 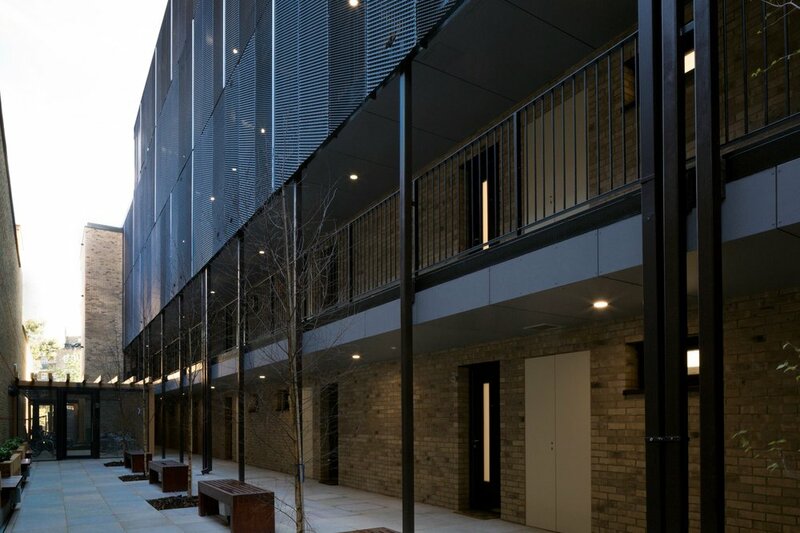 The ecological green footprint of the site is enhanced with carefully designed patios, courtyards and green roofs with low maintenance planting.